Luxury Vinyl Flooring in New Lenox, IL from New Look Floor Coverings Inc. 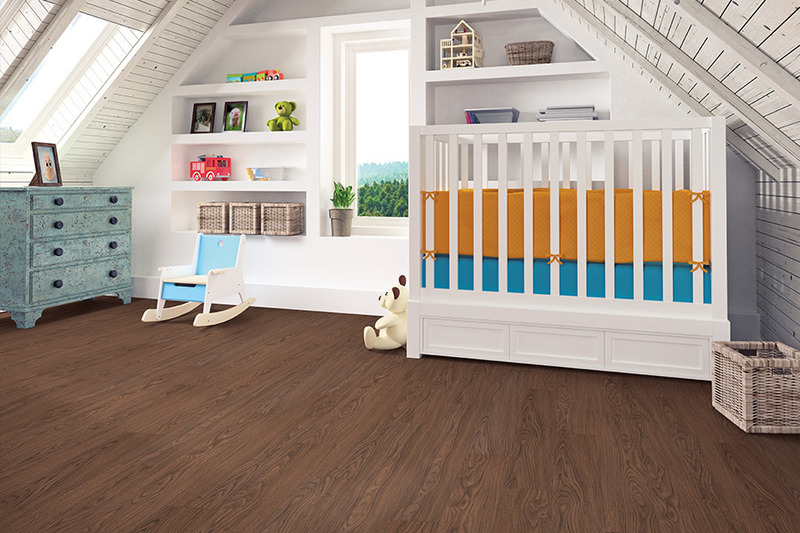 Luxury vinyl captures the same high-end, luxurious look of ceramic and hardwood in textures and true-to-life colors that are so realistic that people cannot tell the difference. An innovative manufacturing process creates random tiles and planks that ensure each tile or plank is different. Luxury vinyl as an alternative to ceramic is a means of attaining the look without the drawbacks. While ceramic is beautiful and enduring, it has an unforgiving surface that is susceptible to scratches and breakage. Regular maintenance of ceramic is required to protect it against stains and damage. The dense, hard material of ceramic is uncomfortable and cold to stand on for extended periods of time. The LVT feels soft and warm underfoot. You have the option to grout or not. The wide range of styles makes designing a unique space possible. Luxury vinyl tiles are the ultimate in easy maintenance. You only need to damp mop luxury vinyl, even when spills have dried. 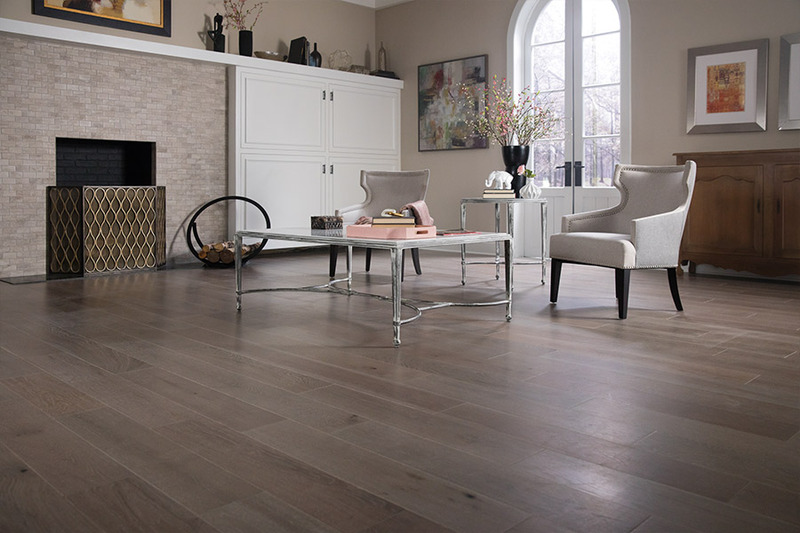 LVP comes in stone and hardwood look-alikes. 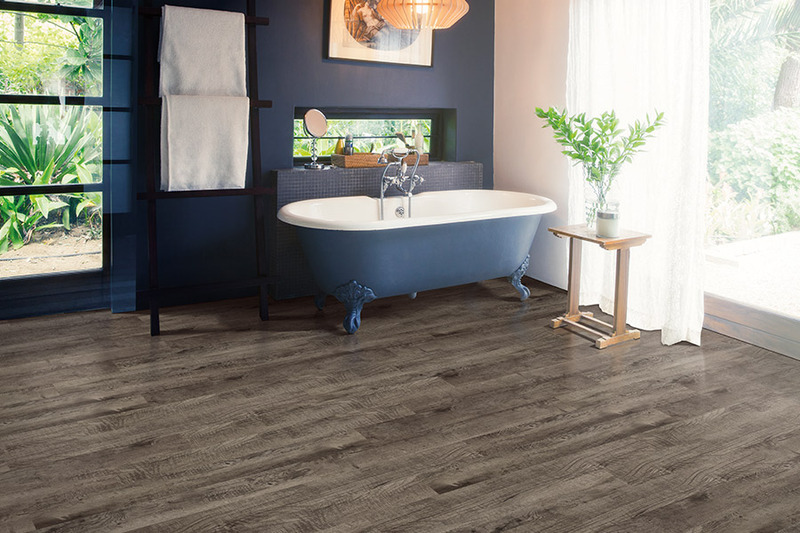 Luxury vinyl planks are waterproof and can be installed in any area of the home, even basements, bathrooms, and laundry rooms. The planks are available in authentic hardwood widths and lengths. The lively textures and colors add radiant beauty to any space. 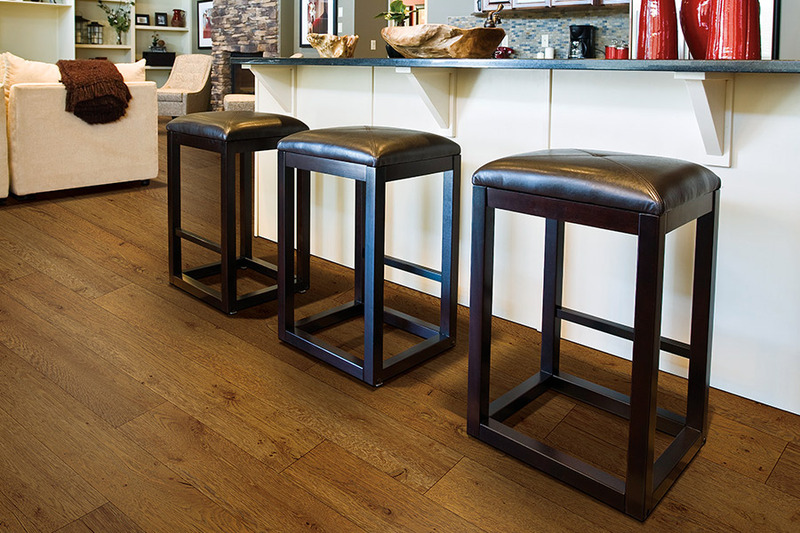 Hardwood dimensions, along with beveled ends and edges, give LVP an incredibly natural look. Luxury vinyl is available in distressed, exotic, and traditional looks that create an authentic hardwood style in the room where it is installed. You don't want to put luxury vinyl on the stairs, but it is ideal for all flat, level surfaces. The fact that luxury vinyl feels softer and warmer than another flooring with a hard surface, is one of its biggest selling points. 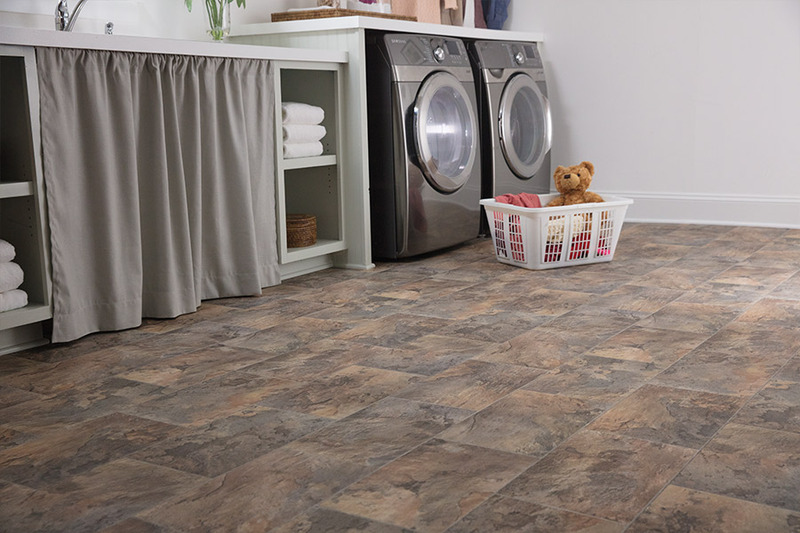 LVT and LVP are friendly surfaces for households where sippy cups are spilled, toys go flying, dishes are dropped, and babies crawl. 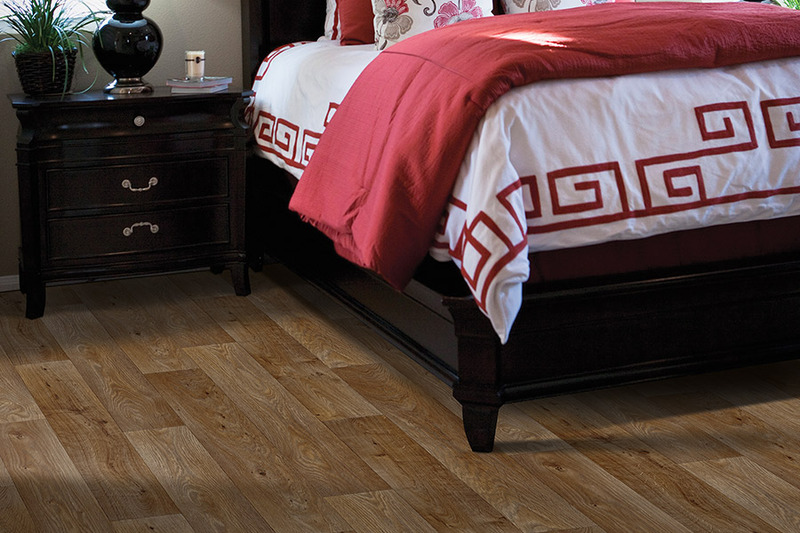 We, at New Look Floor Coverings, Inc. have luxury vinyl in both tiles and planks. Customers from New Lenox, Mokena, Homer Glen, and Frankfurt visit our New Lenox, IL showroom when they want luxury vinyl flooring.